If you’re like me, you’ve seen tons of different curlies talking about protein treatments. Some naturalista’s treat protein treatments like it’s pure gold for their hair. They swear by certain brands and products and have a strict regimen. Other ladies avoid protein like the plague. They feel like, it is actually really damaging to their locks and they even have horror stories of excessive amounts causing hair loss. So with so many different opinions out there, what girls should do? Do you start slathering on protein and jeopardize your tresses, or do you avoid the treatments and end up missing out on one of the best things for your hair? Why you may need Protein Treatment for hair? How do protein treatment for hair works? 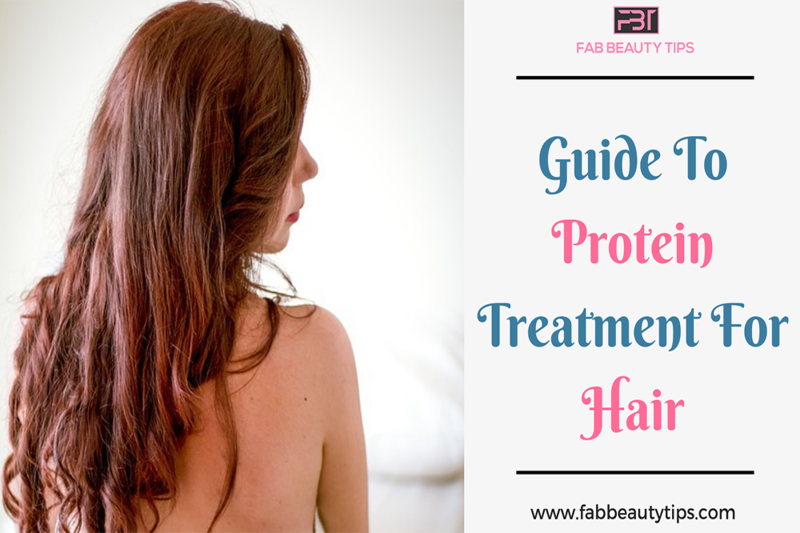 What Is Protein Treatment for hair? Protein hair treatments are products which are loaded with some kind of protein which our hair can absorb. Protein treatments strengthen the hair, restore them if they are damaged and fill in the gaps of hair cuticles which result in less hair fall and also gives the hair volume. They help the dry and curly hair to attain the moisture well. Did you even know your strands are actually made of protein? Basically, your strands are made up of many layers and long interconnected protein chains. Have you ever wondered what makes your hair coily and your best friends hair wavy? The answer is all in your protein chains. Actually, to be more specific, the cross-links or bonds within each protein chain determine whether your hair is straight, curly, or wavy. I know what you’re thinking, if our hair is already made up of protein. It seems like a waste of time and money to purchase more. If only it was that simple, sis! Why you may need protein ? Our strands go through a lot in one day! Even if you are doing your best to avoid heat you are still consistently brushing, combing, twisting and all kinds of fun things. As you go through your styling process you are constantly weakening and breaking the bonds in your hair. Honestly, unless you are wearing a protective style, it can be next to impossible to not manipulate your hair. The more chemicals you use, and the more you manipulate your curls, is the more damaged your hair can become because protein strands do not rebind themselves. Over time your hair gets weaker and weaker making your hair vulnerable to breakage. How do Protein Treatments for hair work? Simply put, the additional protein helps to rebuild your hair. Damaged strands begin to gradually form holes. When the treatment is applied, it fills the holes within each strand. Think of protein treatments as spackle that seals up dings or dents in walls. Healthy hair is pretty resilient, which is amazing! That’s why we tend not to notice when our strands are initially becoming weaker. By filling in the gaps within the cuticle of the hair, you can avoid the final stage – hair breakage! I always encourage curly girls to try out a protein treatment if they like to color, use chemicals, or heat on their hair because all of these processes require you to alter or break the bonds in your curls. However, even if you don’t use heat or chemicals, you may need a protein treatment if you experience any of these tell-tale signs. Just because you use see hair on the floor or in your wide tooth comb when you’re finished styling your tresses does not mean you need to run to the nearest beauty supply store and pick up a protein treatment. In fact, it’s very natural for you to have a healthy head of hair and still lose a few strands. On average, you can expect to lose anywhere from 50 – 100 strands a day. Hairstylists refer to this process as shedding. However, if you are finding loose strands everywhere… it’s probably time to try out a protein treatment. Naturalista’s are known for having springy kinks and coils. Normally, if you stretch out your curls and then release them, they should snap back into a perfect little spiral. However, if you notice that your curls are a little lazy and take a while to recoil, it may be a sign for a protein treatment. You can always double check when your curls are soaking wet. Lightly tug your hair and see how it reacts. If your strands break, definitely start introducing protein into your normal curly hair care regimen. In order to really know the texture of your hair you need to remove all of the products and start on fresh strands. Most naturalista’s will use a clarifying shampoo but you can also opt for a more natural route like an apple cider vinegar rinse. While your hair is still wet, take a minute to feel the strands and note the texture of your locks. If your curls feel a little like seaweed when they are wet, or if they tend to feel rough, (kind of like a brillo pad) when dry; then it’s time for a treatment! Do only use one type of hair protein treatment for your hair. You can also opt for a protein enriched shampoo, conditioner or even a leave in cream. If you are feeling like your hair needs more protein than use a product of your choice more often rather than using more protein products at a time. To get the maximum benefit of hair protein use heat treatment such as blow dryer or by steam. Don’t use protein hair mask if you are using protein conditioner. The effect of mask can be get by using protein conditioner and keeping it for some time. There’s no reason to be afraid of protein! If used in moderation it can be a very beneficial part of your healthy hair care regimen. YouTube tutorials and blogs are great ways to get information about how to take care of your hair, but the most important thing is to listen to your strands. Don’t get too frazzled! If you still have doubt’s Sassina Hair will clear up some of this protein treatment for hair confusion by sharing what they know about your gorgeous curls. Play Quiz : Hair Quiz: Test Your hair knowledge?